ABSOLUTELY GORGEOUS CUSTOM HOME IN PROCESS OF BEING BUILT! THIS MODERN FLOOR PLAN IS INVITING AND OPEN AND BOASTS BEAUTIFUL ENGINEERED HARDWOOD LAMINATE FLOORING AND AN ELEGANT FIREPLACE. THE KITCHEN IS GREAT FOR TODAY'S BUSY FAMILY WITH A BREAKFAST BAR, GRANITE COUNTERS, STAINLESS STEEL APPLIANCES AND A HUGE PANTRY. MASTER RETREAT WITH TRAY CEILINGS, HIS & HERS WALK IN CLOSETS AND BATHROOM WITH CUSTOM VANITY, SOAKER TUB AND SEPARATE STAND UP SHOWER. LARGE BEDROOMS & UPSTAIRS LAUNDRY ROOM. CLOSE TO THE MARINA!! COME SEE! 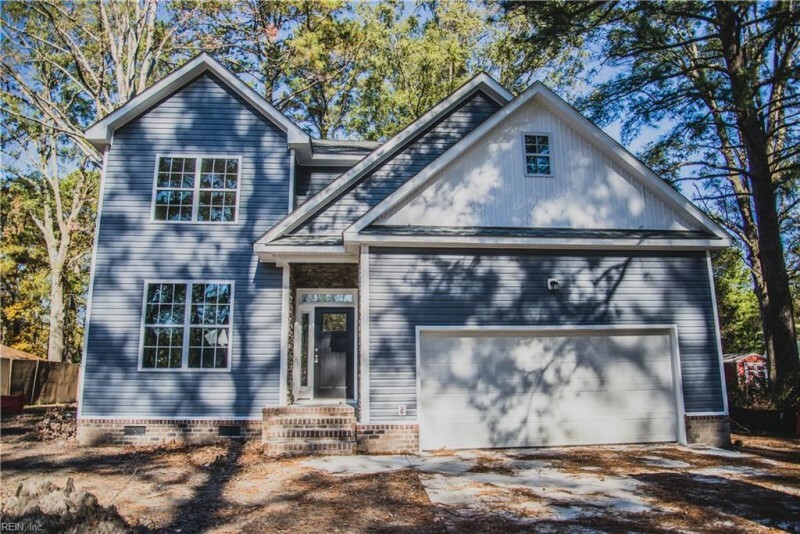 Ready to visit 465 MENCHVILLE? Request a free property tour! Send me more information about the listing at 465 MENCHVILLE, Newport News, VA 23602, MLS# 10240054. This 4 bedroom, 3 bathroom home located at 465 MENCHVILLE, Newport News, VA 23602 has approximately 2,646 square feet. It is currently listed for $385,000 and has a price per sqft of $14,550. This home is currently Active under the MLS#: 10240054. This listing is provided by Prodigy Realty. 465 MENCHVILLE Road, Newport News was built in 2019. It has Garage Att 2 Car, Multi Car, Driveway Spc parking.The kitchen includes Dishwasher, Dryer Hookup, Microwave, Range, Trash Compactor. 465 MENCHVILLE is part of the Menchville neighborhood located in 23602.